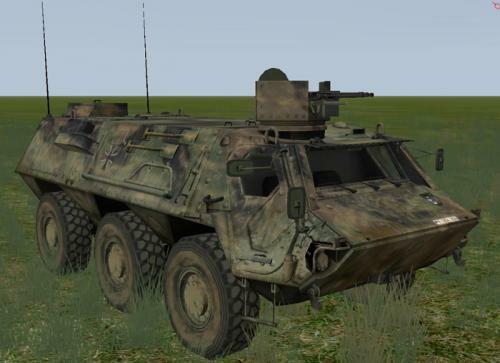 Skins for the TPz Fuchs. Archive contains 2 files: vehicle skin and decals. Skin is based on Dejawolf`s template. 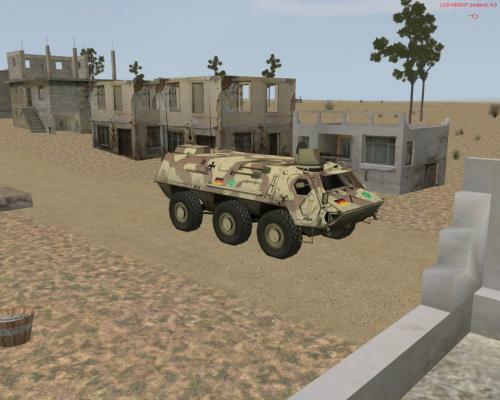 The Finnish XA-180 Pasi desert colour Fuchs skin, along with decals. 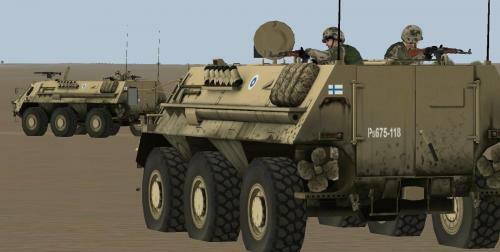 The Finns have used the XA-180, XA-185 and XA-203 Pasi 6x6 vehicles in international missions for a long time. Currently a company of Finnish jaegers is deployed in northern Afghanistan along with the Swedes to keep the peace there. With them, of course, are the trusty Pasis that provide excellent mobility and some cover against mines and IEDs, as well as small arms fire. Fuchs 1A6 in Finnish summer and winter camo plus decals. 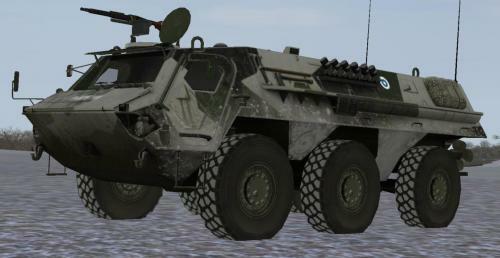 A good substitute for the XA-180/185 Pasi, as both are very similar 6x6 APCs. Only thing is you got to make due with the 7,62mm peashooter instead the 12.7mm NSV!